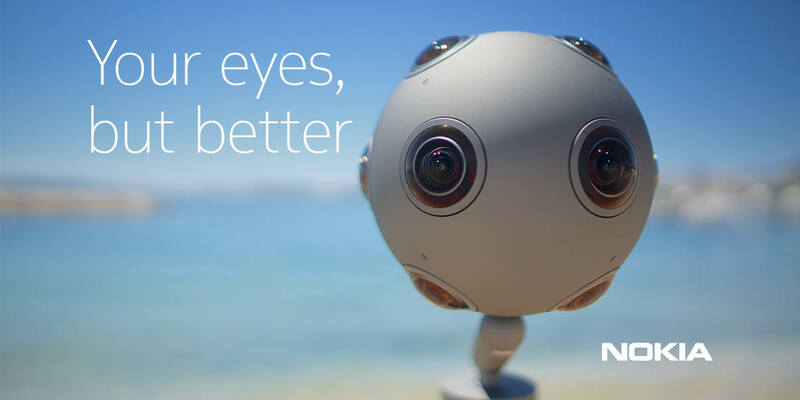 Nokia, or Nokia Technologies to be more precise, released a new software update for its professional VR camera Nokia OZO. The software version is bumped to 1.3.0. from the last update 1.2.0 which was released back in June, 2016. Nokia hasn’t just fixed the bugs, but implemented some new features and upgraded some old features to improve the usability of this unique camera. Many of the noticed bugs was fixed thanks to the users, which also suggested some improvements which Nokia gladly accepted and presented with the new update. Starting off today, the OZO Software Suite is available for Mac and also for PC thanks to the BETA release of the OZO SOFTWARE SUITE 1.3.0 FOR WINDOWS which is available immediately for download and will remain in open beta through November to ensure proper testing of the new software. It’s worth to mention that OZO Creator was improved once again with even better and faster stitching of the filmed video. Nokia also added the Assisted exposure mode, OZO Remote Web interface and WiFi monitoring. Also, now it is possible to film content with OZO mounted upside down thanks to software improvements and export HD audio without losing on quality thanks to the new audio format, Broadcast Wave Format (BWF). Assisted Exposure Mode: Creators can trigger the exposure on and off during recording and it can auto-adjust in reaction to lighting changes. Creators can – automatically, with a single click – find the optimal exposure time using OZO Remote or by holding down the “Capture” button on the camera for four seconds. OZO Remote Web interface: Using a standard web browser, the OZO camera and settings can now be controlled via a mobile device or tablet. Creators can connect a mobile device to the Wi-Fi access point of OZO and remotely start, stop, capture and control all other settings anywhere within Wi-Fi range. Wi-Fi Monitoring: It’s now possible to use OZO Remote’s Real-Time Monitoring Feature without an SDI cable by connecting to the camera via Wi-Fi. This mode will show still snapshots at a rate of one frame per 10 seconds. Creators can still get the full 30FPS by utilizing the SDI cable, as always. Cross-Platform OS Support: OZO now supports both Windows 10 and MacOS Yosemite and El Capitan. We’ve added Windows 10 versions of all three OZO Software suite applications: OZO Remote, OZO Creator, and OZO Preview. This brings access to more affordable and powerful hardware and also introduces support for the Oculus Rift CV-1. Even Faster Stitching: OZO can now output stitched files significantly faster than version 1.2.0, which was released in June. Rotated Monitoring: OZO Remote’s Real-Time Monitoring feature now supports the ability to mount the OZO camera upside-down and retain a right-side up monitoring view. Improved White Balance: The illuminants we have predefined will produce a more accurate gray axis and even more accurate color tones resulting in brilliant whites in various lighting conditions. Lossless Audio Export for OZO Audio workflow: A new format enables lossless audio for OZO. A new Broadcast Wave Format (BWF) based audio export from OZO Creator to Steinberg Nuendo DAW environment in lossless 24-bit PCM audio format.